The University of Oregon’s academic and fundraising presence in Central Oregon is continuing and is unaffected by the recent closure of the Duck Store branch in Bend. The Osher Lifelong Learning Institute continues to hold lectures and classes and University Advancement continues to serve Central Oregon friends, donors and alumni. Both operations remain in their location at 80 N.E. Bend River Mall Dr. The space is under lease through June. In addition, the UO Alumni Association is steadily expanding its schedule of lectures, volunteer opportunities and social events offered to Central Oregon’s 4,000-plus alumni. Among the events produced by the Central Oregon Ducks, which the UOAA says is the third-largest Duck alumni group in the state, is a fundraiser that provides financial support to area residents attending the UO. 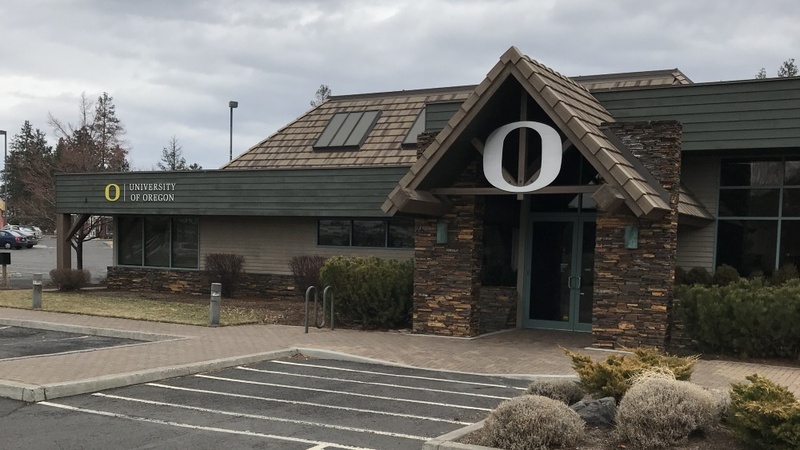 Patrick Hyland, a UO senior real estate analyst, said the university has begun a search for a backup Central Oregon location in case the new owner of the Duck Store property opts not to renew the university’s lease. The Duck Store is an independent, nonprofit academic retailer and is not controlled by the university. The Duck Store closed Dec. 31 after its management determined it was no longer financially sustainable and said the building would be sold. The closure does not affect any of the other Duck Store outlets, including the flagship store next to campus and six other branches in Eugene plus three in Portland.